Have you seen the newest Lean Cuisine entrees? 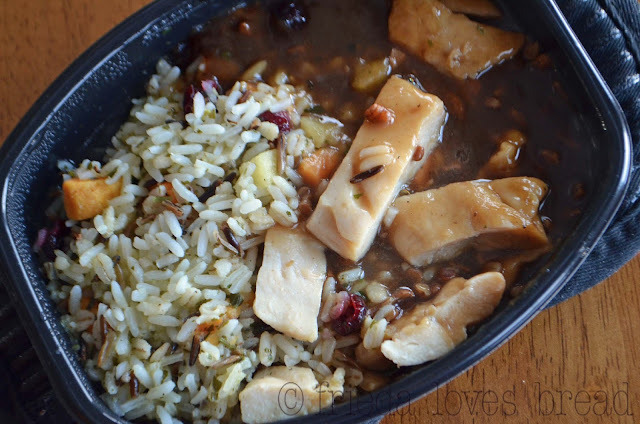 Doesn't this roasted Chicken Pecan in a maple bourbon sauce with wild rice, pecans, sweet potatoes, apples and cranberries look good? Today's hottest chefs have brought their skills and fresh ideas to the Lean Cuisine kitchen. 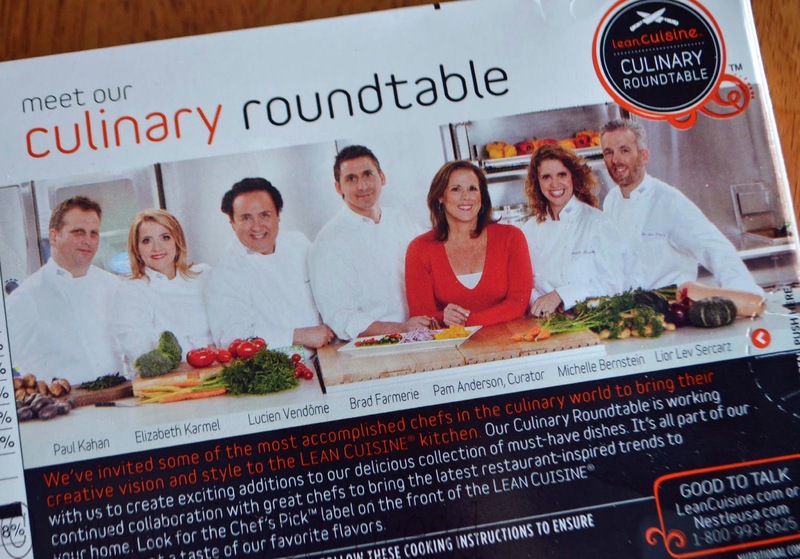 Just check out these celebrity chefs who have contributed to over 16 new entrees! I have not had good luck with frozen entrees. First, they never look like what's on the box. The pasta is always overcooked and there is never enough sauce. Rice tastes wooden and the veggies are always mushy. Hmmmm...kay.... Let's see if we can make it look like the picture on the box. After one taste, I knew this wasn't just any ordinary freezer entree. 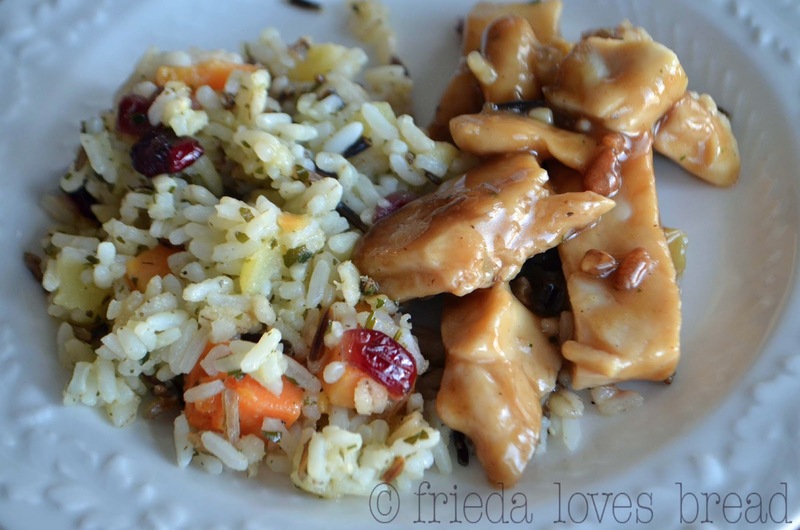 The chicken was made from whole white chicken breasts and the rice was not mushy or wooden in texture. The sauce was mild tasting and had a wonderful crunch of pecans. Nothing was over or undercooked. 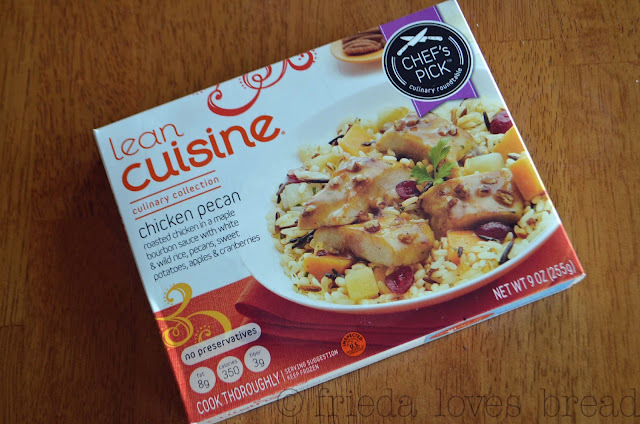 I'm looking forward to trying other varieties that Lean Cuisine Chef's Pick has to offer!